Five ninth grade students from Hjallerup School in Denmark conducted a science experiment that elicited profound and shocking results about the effects of cell phone radiation. Their project was inspired by the observation that they had difficulty sleeping if their cell phones were next to their heads at night. They originally hoped to test the effects of a cell phone’s radiation on humans, but since their school did not have the necessary equipment to do so, they decided to experiment with radiation exposure on plants instead. Using two wireless routers that emitted about the same type of radiation as an average cell phone, they filled six trays full of the garden cress Lepidium sativum and placed them in a room with two routers, and then placed six trays of the plant in a room without Wi-Fi routers. Keep reading to find out what transpired during their experiment. For 12 days, the students observed the experimental and control groups. Both samples were kept sufficiently moist and the temperature was controlled thermostatically. 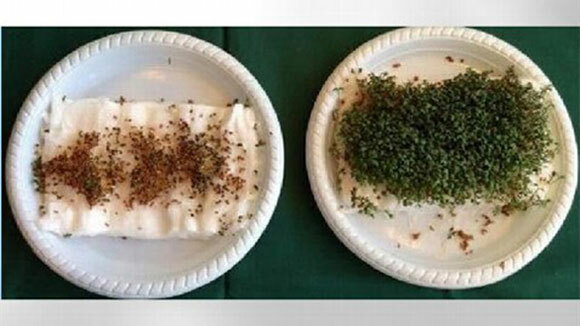 They found that the garden cress exposed to the Wi-Fi router radiation refused to grow, and most were dead. The other group of plants remained green and healthy in the absence of radiation. 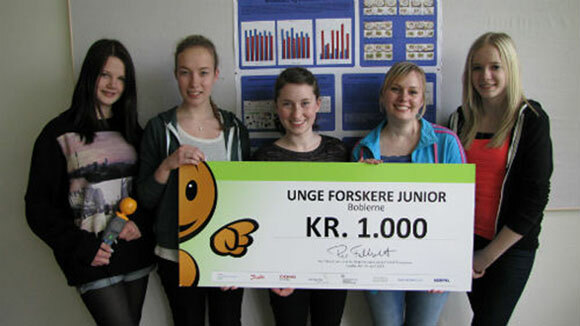 In addition to earning the girls a top prize in a regional science fair, a neuroscience professor at the Karolinska Institute in Sweden became interested in their research, and is planning to recreate their work in the lab. A similar study was conducted in the Netherlands by Wageningen University that exposed 20 ash trees to different types of radiation over three months. The trees selected to withstand Wi-Fi signals were shown to exhibit signs of sickness including a “lead-like” shine on their leaves. Beginning with a basic concern, the students were able to design an elegantly simple experiment that not only helped to demonstrate the strength of the scientific method, but to take the first step towards answering a health issue. Maybe tonight, you might opt to move the cellphone and router to the living room? Interesting, but not really good science. To make it good science, it would need to be blinded (perhaps two identical wifi boxes, one with wifi off). The the experiment would have to control for other factors (using different rooms clearly risks different factors). Better would be to run multiple times, perhaps switching the wifi boxes on and off at random. A good starting point, but nothing to get too worried about yet. Ferka is on the money. Furthermore there would have to be a number of rooms as identical as possible in all respects including lighting (obviously) with no other influences than the wi-fi possible. At least three rooms with wi-fi on and three with it off would be randomly selected from the possible rooms. The set-up used is described as pseudo-replication. There are six trays in each room but there are only two rooms and the rooms, not the trays are the experimental units, therefore sample size = 1, statistical meaning = 0. It has been well documented through several very expensive studies that the radiation caused by cell phones is very harmful to humans. I don't need to see any results of this test, even if it was done in a more scientific fashion. We already know the truth, but the cell phone industry makes so much money, it's like cigarettes all over again..when will people ever learn? Why not leave the cell phone and router turned completely OFF? I rarely use wi-fi in my home, only turning it on for short periods when someone in the house needs it. This is the kind of science I'd expect to see from a single elementary school student or maybe a pair of students, not 5 students in the 9th grade. The experiment is poorly constructed, lacks necessary controls to draw significant conclusions, much less the sweeping ones being made here. The claim of "wireless routers that emitted about the same type of radiation as an average cell phone" is an oversimplification again that's fine at the elementary level but not high school. It bad enough to tolerate this level of scientific inquiry from high school students, but to celebrate it? Was this science fair judged by the PTA? Scientists would debate giving this group a participation ribbon much less a cash award.